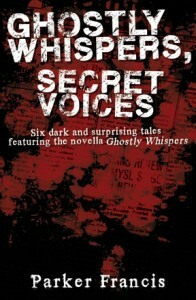 This Kindle ebook contains six dark and surprising stories, including the novella, Ghostly Whispers. 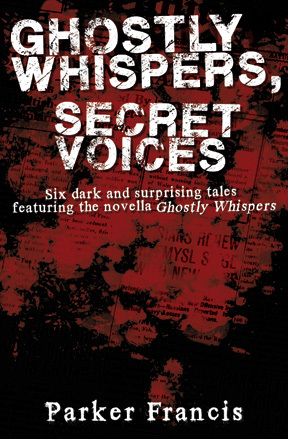 In this collection you’ll find characters who whispered to me over long periods of time. Some of these stories have been published and others have not. Some are extremely short, others more in line with the typical short story length, while one runs nearly 100 pages. Each of them will hopefully surprise you and leave you a bit uneasy about the human condition. An elderly woman and her invalid husband share their final hours together before facing eviction from their longtime home. Sometimes a house is more than a home. Technology is moving rapidly, but text messages from the beyond? You’ll share Nick’s perplexity when a dead girl asks his help in finding her killer. Racing to save his disturbed brother before he can harm himself, Robert gains new insights into his very special brother. Two vicious thugs force Wimmer’s wife to rob her own bank while they hold him hostage. Can the Wimmer’s survive the terror-filled day? A flat tire in the middle of the night on a deserted road is only the beginning of a fateful journey. Desperate to find relief from the tinnitus that caused him to leave his job as a rock musician, “Mad Max” Gribbins learns the alternative can be both a blessing and a curse.